Bodybuilding is a sport in which the modeling of the body through targeted muscle exercises usually using fitness equipment is at the center. Goal is the muscle with low body fat percentage and the exact definition (elaboration) of individual muscles. Bodybuilding is run mainly by men. Bodybuilding is often laughed at or called a fringe sport that determines cliche of the steroid muscle-eating monster is still the image many people. Told now of someone weighs maybe 70 pounds and does weight training, that he runs bodybuilding (which he does by definition! ), So he is often not taken seriously ("You have too little muscle" - "So wide you do not! "). 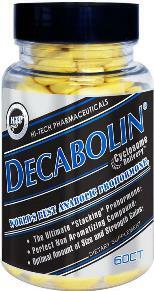 Questions come quickly, such as "Do you take some protein and then the other anabolic steroids?" Of course this can not be compared with amateur bodybuilding professional competitions. 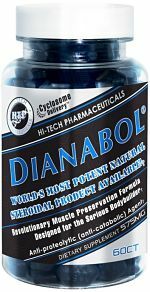 Steroid and doping use and there is clearly intended to foment television reports about the abuse anabolic steroids adolescents operate prejudices-the ones with the same brush bodybuilder Scherer. Nevertheless, bodybuilding is carried out properly, a means of healthy, beautiful to reach a body. Here are some details now UMS bodybuilding tips with in our forums to find your way. The bodybuilding training is a strength training that focuses on the desired transformation of the body, and less on the associated strength increase. It can be performed with dumbbells or special training machines, usually with the dumbbells are used. Thus, during bodybuilding training with reps usually 8:00 to 12:00 repetitions per set, while the heavy resistance with higher load and less repetitions (one is trained up to six). At 13 to 25 repetitions piece you move in the endurance area, which is responsible for the capillarization of the muscles. Usually trained concentrically. Here the muscle is loaded over a large part of his range of movement possible with constant force. With some training equipment to the force profile is the target of an eccentric Kurvenrad or controlled so that the muscle is in every phase of the movement are equally at risk. Other forms of training resulting from an extreme reduction or increase in the number of repetitions (eg single Maximalversuch or the so-called "100-kit"), reducing the execution speed and an eccentric load (eg, controlled descent on the bench press). It is important that the muscle after training has time to recover. Therefore, in a bodybuilding training split is implemented, which are usually repeated every week and trained with each training session with the other muscle groups. Proper nutrition is divided in bodybuilding in mass and definition phase. In both phases of the different nutrients are distributed throughout the day taken deliberately, in an average of four to six meals (sometimes more) a day. 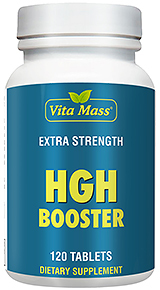 This ensures that the body of a continuous flow of nutrients is available, it needs to build and maintain muscle. The body is thus held in an "anabolic" environment (anabolic = "Building"). Special emphasis is placed on adequate protein intake. As a rule of thumb is that the bodybuilder was 1.5 g per day of active feeding up to 2 grams of protein per kilogram of body mass. Both objectives are achieved by adjusting the weighting of protein, carbohydrates and fats in the diet themselves, such as in the "anabolic diet" in which the fat makes up the bulk of the nutrient intake and the carbohydrate intake is lowered. The aim is to reach the ketosis. This type of diet is carried out by many people / athletes to reduce weight. Bodybuilding is included in the program of the World Games is the International Olympic Committee but not yet recognized as a sport. The most prestigious event in bodybuilding, the Mr. Olympia. This competition is the professional association of the IFBB World Championships, which is recognized as the only sports in all the BB organization. Record title holder, the two American Lee Haney and Ronnie Coleman with eight victories. The currently most successful German bodybuilding pros are Günther Schlierkamp, Markus Ruhl, Ronny Rockel and Dennis Wolf. The risk of injury is low in bodybuilding. The sport gets, however, because of far-reaching drug abuse again and again in the spotlight of the media. 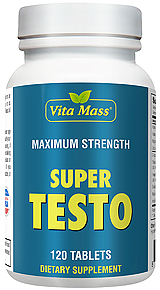 By using performance-enhancing (but may, under the prescription drug regulation falling) drugs such as steroids or hormones (especially testosterone and its derivatives), and diuretics in men as gynecomastia, kidney failure, erectile dysfunction or heart problems occur. With German amateur competitions, but strict doping controls in accordance with guidelines of the International Olympic Committee (IOC), the German Sports Federation (DSB) and the International Federation of Bodybuilding & Fitness (IFBB) are carried out. More stringent and ongoing competition between the doping controls are carried out by the German Natural Bodybuilding Federation (GNBF), there sometimes are used lie detectors. The effectiveness of controls is controversial. On 14 Died March 1996 of the top bodybuilder Andreas Munzer with only 31 years due to multi-functional organ failure due to years of massive doping. Another problem is that without steroids, an appearance that the level of an (international) or body-building professionals, can not be achieved. Furthermore, excessive training can lead to permanent attitude of individual muscle damage. A common image is the athlete with forward twisted shoulders and arms, caused by an increased towards the back muscles training of the chest and abdominal muscles (pectoralis minor and major - chest muscles or "Pecs"). Such posture with proper training but are excluded. Many bodybuilders suffer from high blood pressure. As operated for pure muscle bodybuilding only and is not endurance training, is so constructed muscle mass or body mass not in relation to the cardiovascular system. Ergo must pump the less-experienced heart more, to provide the disproportionate body with enough blood. Chance of Synthol is used by bodybuilders. This is an oil that is injected directly into the muscle and then packing them, which leads to an apparent increase in the muscle. Muscles that have been magnified by Synthol injections can see, in general, but miss out unnaturally smooth and leave a natural division and definition. The injection of Synthol - as well as the onset of silicone implants - one in competition bodybuilding strictly prohibited measure, which will lead to disqualification of the athlete Association competitions. Silicone Implants in the breasts of female bodybuilders, however, be tolerated and are very common. This can have body art, the fetish-like features is, for many bodybuilding fans becoming a major, time-consuming and identity element of their lifestyle. It is the celebration of this cult, often well beyond the real bodybuilding. We speak therefore of body styling. The term describes an aggressive forms of the entire outer appearance and also implies a special appreciation of an impressive aesthetic effect. In the design of the exterior is mostly supported by means of bodybuilding by the use of tanning and cosmetics. Tattoos or piercings often change the appearance of the body in addition. This is notable as a male-bodybuilding scene (more common in women, however, is Body shaping). Since the French Revolution and the end of the court culture of the rococo, it was reserved for women who care intensely about their beauty. Men had, according to the new bourgeois model, but less interesting, but rather for technology and business. What a long time was very unusual in Western culture for men, was and is here straight from the bodybuilder-men acted out excessively and cultivated: the design and care of your own body and paying attention to the external appearance. However, it must be restrictive, that whole society today increasing trend in men, the design of the body and appearance (for the purpose of beautification / increasing attractiveness of its own point of view) to give more importance, though often not to the extent and the way it has become common practice in the bodybuilding scene. At the same time, however, this new attitude leads to the male body in the context of bodybuilding in a style that remains of the middle-European tradition arrested, because the new body art is the celebration of an extreme cult of masculinity. The innovation lies solely in the aestheticism of established images of masculinity (the "strong man"). Within the fitness scene, which has taken by the fitness boom of the 1980s and 1990s, more and more environments and increasingly diverse population groups, the bodybuilding scene takes in the strict sense is still a special place. She has maintained a degree of independent culture. In contrast to other directions of the fitness scene, where body-exercise, health, fun and self-fit feel often play a decisive role, are common in many bodybuilders aspects of a celebrated body worship in the foreground: The self-creation of a perfect body , highly developed aesthetic sense, the posing (demonstrative oneself to public displays or wanting to impress) with an extremely well shaped body in everyday life.